Reading – Choosing what to read in the holidays? It is the end of Semester 1 and our 2 week holiday period is almost here. Many of the boys have been asked to read over the holidays and classes have come to the library for them to find something. We have e-books as well as hardcopy books. Many of our boys like the later and subject matter and the cover play a part in their choice but for some it is the size of the book (number of pages) that is the deciding factor. We often explain to these boys that if the book does not interest them then the book will be too long whatever the length. 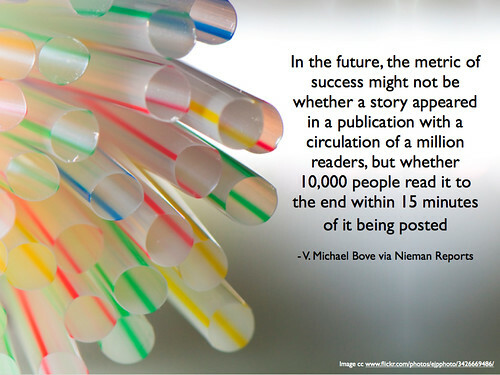 It is with these thoughts in mind that I came across the following infographic. It is an interesting take on recommending reading material and is based on the “average” person’s reading speed (300 words per minute) and the number of words in the novel. Of course reading difficulty would also come into play so it offers only a rough guide to the times suggested but I thought it might make an interesting talking point if i showed it in the library. Please include attribution to PersonalCreations.com with this graphic. Gold Inky Award (Australian book): The First Third by Will Kostakis The second novel from the author and it is this is both a funny and sad book about families and adolescence. The main character, part of a Greek-Australian family, is 17 year old BillyTsiolkas. Publisher’s website with teaching notes here. Melina Marchetta interviews Will Kostakis here. We have both these books in our library. They have been read students at our school over the last few months and they would agree that they are great stories. A few days ago the YALSA’s 2014 Teens’ Top Ten titles were also announced. This Teen Choice list engaged Teens’ Top Ten book groups in sixteen school and public libraries around the country in reading and voting. The selected titles will also be included on the Teen Book Finder App. It is now available for Android as well as iOS devices and anything that helps encourages my students to read is something I encourage. This app also offers a way to broaden the reading lists of my students in Australia by publicizing and promoting a broader range of book titles than they might otherwise see in the local library. Congratulations to the authors and illustrators of the books below. To their editors and publishers and also the CBCA judges. The CBCA winning books for 2014 voted on by the judges, were announced this afternoon. The judges have a difficult job and I know that a lot of deliberation and discassion has gone on. The CBCA awards are given to works that are the benchmarks for quality in Australian children’s literature. The books that made to this short list are being read and enjoyed by the boys. I wrote a post about the older readers shortlist with links for follow-up earlier in the year. As is usually the case the books chosen this year were quite varied in their styles and subject matter. 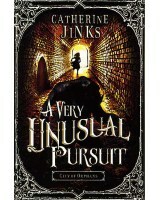 Winner: City of Orphans: A very unusual pursuit by Catherine Jinks. Catherine has an interesting page about the title, there are teaching notes and, from the Allen and Unwin site, there are Reviews by teachers (PDF) also. Winner: Rule of Summer by Shaun Tan. 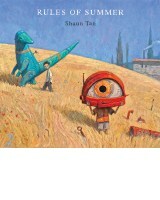 I am so pleased that another wonderful book by the brilliant author Shaun Tan won this section. There are some great resources – my post with links including to videos, a teachers’ guide here and a podcast on The art of Shaun Tan. Welcome to my country by Laklak Burarrwanga and family There are Notes for teachers (PDF) and Reviews by teachers (PDF) from the Ale and Unwin site. After several months of speculation the CBCA award winners for 2013 have been announced. The CBCA awards are given to works that are the benchmarks for quality in Australian children’s literature. Even making the short list guarantees that there will be attention given to these works. 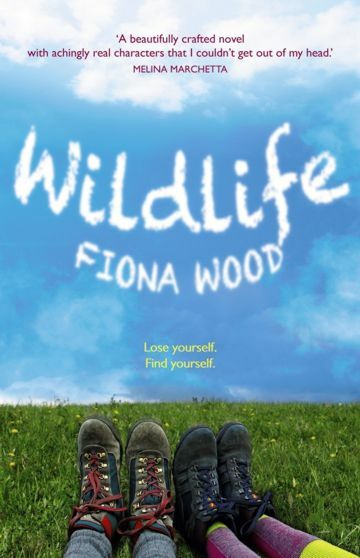 In two posts about the 2013 shortlists ( older readers and younger readers) I wrote about these books and offered links to follow up each of them. The books chosen this year were quite varied in their styles and subject matter. The winners and honour books have a gold medallion put onto the covers and they will be bought by schools for their libraries and their use in classes, public libraries and parents (and relatives) of young people. The 2013 CBCA Book of the Year awards have been given to the authors and illustrators in the following five categories from older readers to early childhood. Over the weekend I reflected on the winners and the shortlist in general. They were books that had appealed to many of our boys but it was interesting that the winners were mainly male authors, Ursula Dubosarky being the exception. This seems to remind me of a criticism of some other writers awards. Does it mean anything, probably not, and the judges were all female this year – so would there be a bias? As always I suppose there will be some discussion about what missed out and what was declared the winner but I have no complaints and I will be able to “sell” all of them to our students. My favourite, Goliath (part of the Leviathan series)by Scott Westerfeld didn’t make the shortlist but I do like to read Robert Newton (Runner – set in Richmond in the early 1900’s and The Black Dog Gang, early Sydney) and Scot Gardner (One Dead Seagull and White Ute Dreaming amongst others). Both these authors have done a lot to encourage our boys here to read. Scot Garner has also been to the school in the past to talk to bots about writing. Many were very impressed and his books flew off the shelves for the next few months. Bill Condon has written some very interesting books but a smaller number of our readers seem to like to read his works. It was also interesting that the publisher who had the most success this year was Allen and Unwin. I seem to think that Penguin have been the dominant publisher in the past. Allen and Unwin have certainly been very proactive in supporting some good Australian authors. The publisher’s page has some information. Read a review from the Fancy Goods site and a review from ReadPlus. Find more information about Bill Condon on his website. Read a review here and another from Read Plus. The publisher has downloadable notes for teachers and teacher reviews available on their site. Find more information about on the author’s homepage. Reviewed on the Good Reads site here. The author has a “mini site” as part of the Allen&Unwin site. Review here There is a Radio National podcast of an author interview available to listen to and you can read an interview with Andrew McGahan about The Coming of the Whirlpool (the Fancy Goods blog). There is also a discussion by the author on the Readings site here. The publisher offers downloadable notes for teachers and teacher reviews available on their site. It is not long before the CBCA winners are announced and so it is also the time for this year’s Inky’s awards to be considered. Friday saw the announcement of the long lists. The Inkys are international awards for teenage (or YA) novels and are co-ordinated by the Centre for Youth Literature via insideadog. This year we will be celebrating the fifth year of the Awards that are voted for online by the readers (who are under 20) of insideadog.com.au from anywhere in the world. You can read about the history of the Inkys (the winners and the books that have made the long and short lists) here. There have been many wonderful titles that have made these lists so all are worth a look even if they are not the eventual winners. If you have not read some of these books you can go to this part of the site to find out more about each of them. We will know which titles have made the final cut on September 1 with the online voting open until October 18. The winners will be announced at the Inkyfest on October 25. You can read about the 2011 judges with interviews and links on the insideadog site. Lucy Christopher is on the blog already and the other judges will be interviewed each day this week. Pig Boy by JC Burke. The “Tom Brennan” book was such a great story and a well read book in the library. It was also one of the books our VCAL boys had to read. They are boys who, on the whole, do not usually like reading but it was one they could relate to. This story is again one that has very strong Australian characters and it is a very honest story about boys, bullying and violence. Good Oil by Laura Buzo. Just a Girl by Jane Caro. The FitzOsbournes in Exile by Michelle Cooper. Graffiti Moon by Cath Crowley. A book whose characters were very recognisable to many of our students. This is Shyness by Leanne Hall. Black Painted Fingernails by Steven Herrick. Silvermay by James Moloney. This one is new to us. We have all of James Moloney’s books for secondary school students. The fantasy ones have been very popular and this looks to be no exception. The Comet Box by Adrian Stirling. Adrian Stirling’s first book Broken Glass was a very a contemporary story about rural Australian life. The Comet Box is another look at Australian life. It is a suburban mystery that examines life in 1986 Geelong. Told through the stories of a number of different characters as they are touched by one family’s traumatic event but experienced by many within the community. Dash and Lily’s Book of Dares by Rachel Cohn & David Levithan. No and Me by Delphine de Vigan. Bright Young Things by Anna Godbersen. The Agency: The Body at the Tower (The Agency #2) by YS Lee. This was one of the books I used when our year 8 students were studying the crime genre and they had to choose any book from the genre. Anna and the French Kiss by Stephanie Perkins. First Light by Rebecca Stead. This is one that other members of staff have read and enjoyed and on my reading list. We have some of these books, some we have not seen and some we have looked at but decided not to buy. As a school for teenage boys, we have to work out what to spend our money on to get the “best value” for our money. Books may be very well written and interesting but literature that looks to “girlie” on the cover will not get read. The boys all have to bring wider reading books to all English classes and the covers matter. Science fiction and fantasy can get away with certain symbols on the cover but in general the boys are very sensitive to how the book looks to the others. This is the great thing about having books in e-book format. The boys who are interested in reading beyond the traditional “boys” literature, who are willing to give different stories a go, don’t have to worry about message the covers will give to their school mates. There are others here that, after reading the on-line comments, I must get my hands on and read. I will also be encouraging our boys to vote for their favourites. EduKindle A blog that looks at using the kindle in academic arenas. It is designed to provide information and tools that will enhance the Kindle experience of anyone with an interest in teaching and learning with support from the Kindle. New Study on Reading in the Digital Age An article about research conducted in the USA, but has applications for Australia as well.. As expected, kids have embraced new technology faster than many adults, and are keen to read ebooks. The problem of the read-aloud – readerswithautism.com Read Alouds are a vital component of the literacy curriculum, yet many autistic children do not respond well to them. Advice on this issue is from the Readers with Autism blog. BBC EARTH LIFE IS An amazing site from BBC Earth. The beautifully interactive site is full of images, video, and stories from BBC Earth’s most captivating documentaries. Each month features a different theme. The astonishing images and video capture life’s most colorful displays in nature. The search page is equally stunning, offering an on-screen widget that lets students adjust the pictures in the grid by filtering by hot/cold, slow/fast, sea/sky, or colour. Bloom’s Taxonomy Bloomin’ Tree from iLearn Technology » Blog Archive » A teacher created these for her classroom so that she could share Bloom’s with her kids in different ways that would make their classroom fun, but also give them a different way of viewing the information. Here she is sharing her Bloomin’ Tree. As she started making her Bloom’s re-imagines, students started coming to her with ideas of how to display the information. The tree was a student idea and the boy underneath is Lance, who made the suggestion. MathMovesU | making middle school math fun MathMovesU is an innovative approach to maths practice that shows students how maths is used in real life. As students explore the MathMovesU virtual world they will collect points by discovering maths and tracking solutions. This site encourages students to discover more, dig deeper and think critically about maths. The easiest way to download lossless YouTube to your computer – HOME – Edgalaxy: Where Education and Technology Meet. Comic Master Comic Master that lets you create a graphic novel online that can be saved and printed. The interface is very intuitive and fun to use Using the Graphic Novel Creator, students can create their own multi-page graphic novels with interesting backgrounds, characters, props, and customized text.